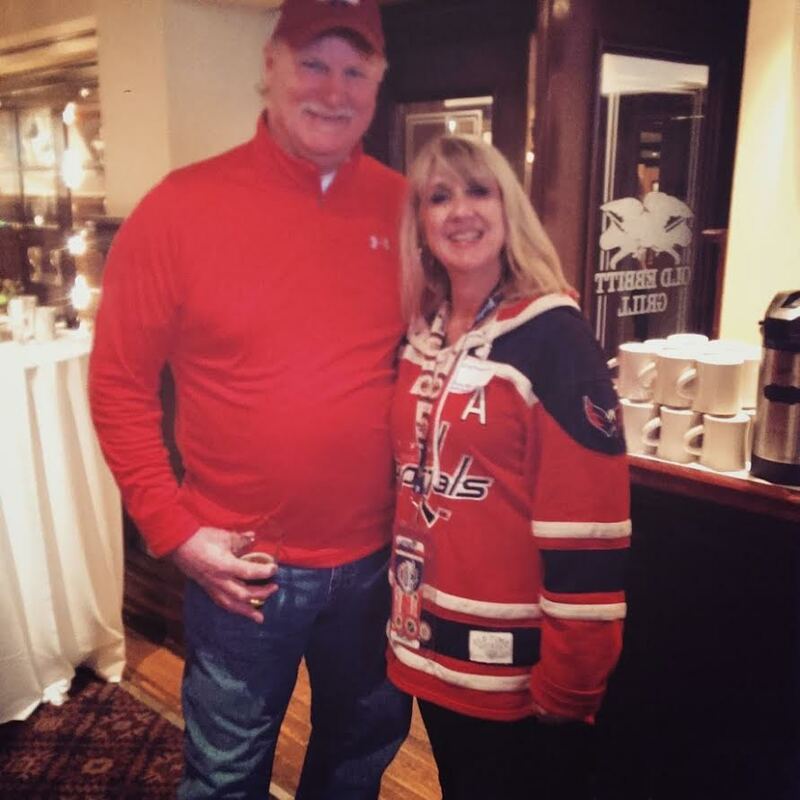 “I would do it again; no regrets,” says former Washington Capitals defenseman and Hockey Hall of Fame inductee Rod Langway about his much celebrated hockey career. 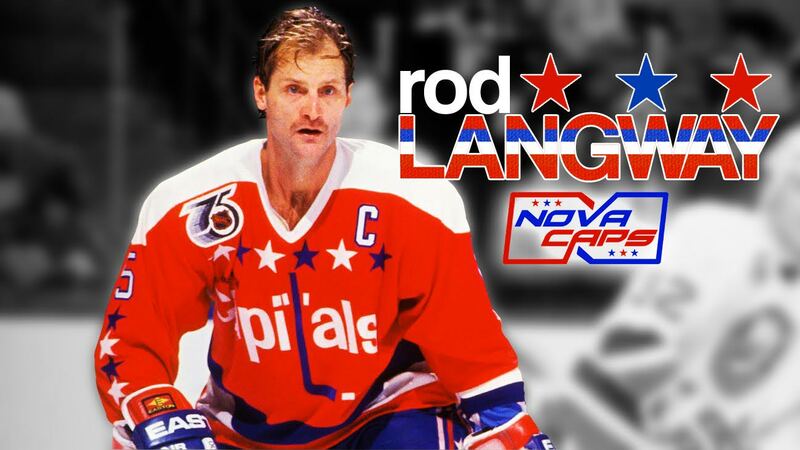 NoVa Caps sat down with Langway before a recent Caps game to discuss his hockey experiences and the imprints from his legacy that linger today. 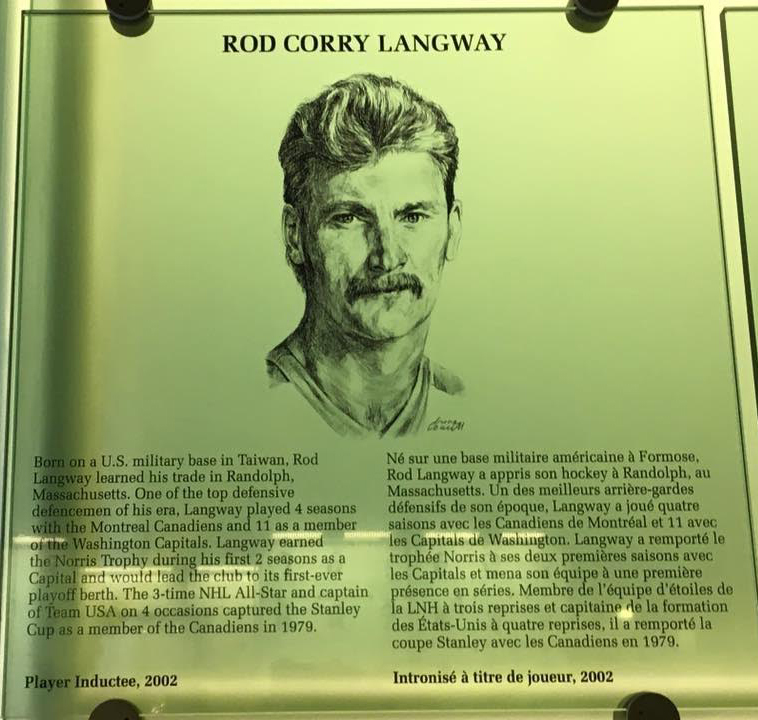 Langway, who grew up in Randolph, MA a town about an hour north of Plymouth, MA was more interested in football and hockey…that is, until Bobby Orr and the Boston Bruins were becoming household names in the late 60’s and early 70’s. “When I was about 12 or 13, there was a boom in Massachusetts of hockey and I got tangled up with my buddies of other sports, football and baseball. They said, ‘you’re not doing a thing during the winter why don’t you come out and try to play hockey”. I started real late compared to normal hockey players”. . A gifted, all-around athlete, the left-handed shooter quickly became a star on the ice, leading his high school team to three state championships (1973-1975), the gridiron as a standout quarterback and the diamond as pro-prospect catcher. Understandably, colleges and universities around the country were actively recruiting Langway, but the University of New Hampshire (UNH) ultimately swayed his decision. “I went to college on a football scholarship with an option that if I decided to play one of the other sports [hockey or baseball] that sport would pick up my scholarship”. At that time, his plan was to use the scholarship to pay for school while playing the sports that he loved. But fate had a different plan. 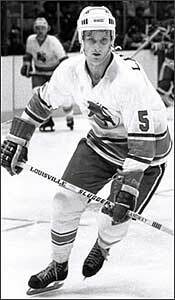 After Langway led UH to the NCAA hockey final four in 1977 he became a sought after target for NHL and WHA recruiters. While hockey was not his passion, he decided to take an early offer knowing that he could always return to UNH to finish his degree while maintaining his eligibility to play football. “The rules of the NCAA stated that if I decided to go pro in one sport I’m stil an amateur in the other. So let’s say if my first year of hockey was a bomb, I couldn’t play, couldn’t make it or didn’t like it, I could have gone back to college and picked up football again. So that’s how I analyzed it the best way”. 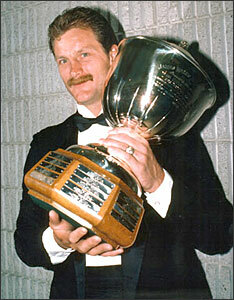 After the Bulls disbanded that same season, Langway was offered a spot with the Montreal Canadiens for the 1978-1979. “Birmingham was a great stepping stone but wasn’t the Canadiens. 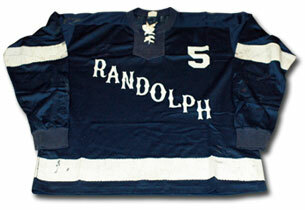 I went from playing in the WHA and learning the game to a team that won three Stanley cups in a row. Everyone said, ‘you’re not going to make the team’ and I did”. Not only did Langway make the team but the Canadiens won the Stanley Cup. “You know, I worked my tail off, but at the same time, I was having fun. It wasn’t a grind”. In his second season, Langway secured his well-deserved place as a regular on the blue line. He played heavy, providing a formidable presence on the ice, easily paving the way for 26 goals and 101 assists during his four seasons with the Habs. He was shocked at the start of the 1982-1983 season when he found himself a part of a six player deal that traded him to the then floundering Washington Capitals. The blockbuster trade included his teammates Doug Jarvis, Craig Laughlin, and Brian Engblom. “I didn’t really know much about the Capitals until I got off the plane the day I was traded. We flew in one day before training camp. I had just enough time to pack up a big [duffel] bag of clothes and my family was still up in Montreal”. The trade was monumental and to this day, many fans credit it with saving the Capitals organization. The media, even the Canadians, came to see what was going on, it was a huge trade and everyone was saying that this team might not make it to Christmas. “We were family guys, we were all in the same boat and we really didn’t know what to do, it was a weird 2-3 months at the beginning of the season and we [Laughlin, Jarvis, Engblom and Langway] lived in a hotel for our first 2.5 months”. 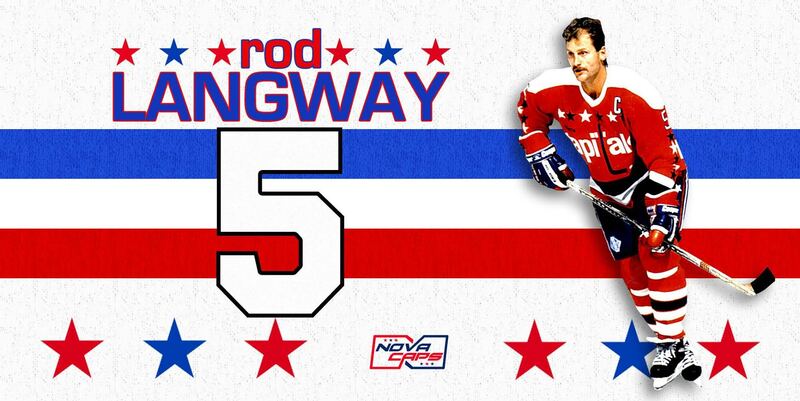 The Capitals, who selected Langway as the captain, a title that he would continue to hold throughout his 11 seasons with the franchise, had a good foundation of guys including a first round draft pick Mike Gartner, Bobby Carpenter, Dennis Maruk and Bengt-Ake Gustafsson. While the base of the Capitals was good, they had never won before. “The difference we made that year was that we began working together as a team. Right after the Christmas break we got on a roll, we started winning and attendance soared from 8,000 to 15,000 people per game”. Langway credits the difference to their mindset, we started playing like a team, “we set a goal to only give up two goals a game and that’s how we got the reputation of being stingy and tough to play against”. That year the franchise made a rapid turnaround. The team harnessed its talent and goal scoring skills making the playoffs for the first time in their history; a feat they would repeat for the next 14 years. Little did the Capitals know that the trade they made in 1982 would resonate throughout the franchise, change the face of the organization forever. Through Langway, the Capitals established a culture of success – a culture that permeates throughout the team today. “It’s got to be a team; it can’t be individuals. You want individuals to play but you want the team concept first”. It’s that philosophy that Langway believes coach Dale Hunter was employing in his interactions with team member Alex Ovechkin in 2011. “Hunts [Dale Hunter] knew he wasn’t going to be here long because he was going back home but he had to, ‘break the wild horse’ and help him to learn that when things aren’t going your way you don’t hurt the team by not going back”. Now, it’s happening even more with Trotz and the people in the stands see it too. Ovechkin is really growing up and maturing, “every time he shoots you think something’s going to happen. The puck is going to come toward him and he’s going to make something happen. And it’s great to watch”. Langway, the Washington Capitals Secretary of Defense, has a legacy that runs deep with the Capitals and the mark he left on the organization lives on and thrives as this team marches forward and closes in on an ultimate prize. This entry was posted in Interview, News and tagged Rod Langway, Stephanie Judge. Bookmark the permalink.